7 Safest Countries For Women To Enjoy Happily...! 7 Safest Countries For Women To Enjoy Happily…! Women are taking on the world and a very recent evidence of this is the Rio Olympics. This is only one side of the story but. The other is the ugly one. Heinous crimes like loots and sexual assault against women paint the ugly picture. In many countries of the world, women find themselves restrained by these obstacles which ultimately lead to hesitation in doing all the wonders they can. But beating hindrances like these women, nowadays, do step outside of their homes. Certain countries of the world have made sure that every female setting foot out of the house feels secure and safe. Here is a lost of few of the safest countries for women. Canada is another country that can be a perfect place for women, security wise. In the last two decades, nonviolent crimes have been curbed expertly by the law enforcing bodies which have ultimately resulted in the crime rate stooping very low. Also, Canada offers great job opportunities for women and is one of the nations with the lowest gender pay gap ensuring financial security to women. Single women often choose to live in Canada because of the high level of financial security and the low crime rate. Australia welcomes a number of tourists every year and quite a few of them are solo female travelers. This is not only because of the attractive monuments but also because it is a very safe country, especially for women. The people of Australia are hospitable and warm and definitely helpful. The literacy rate in the nation is also high resulting in low crime rates, especially crimes against women is low. A beautiful nation that maybe one of the few Asian nations to be safe for women to live and travel to. Singapore is indeed one of the safest countries for women and the reason for this could be the strict laws and their implementation. Singapore holds women in high regard and has taken all the steps it can to ensure their safety. Many single moms, often from nations of orthodox cultural views, settle and make their living in Singapore. 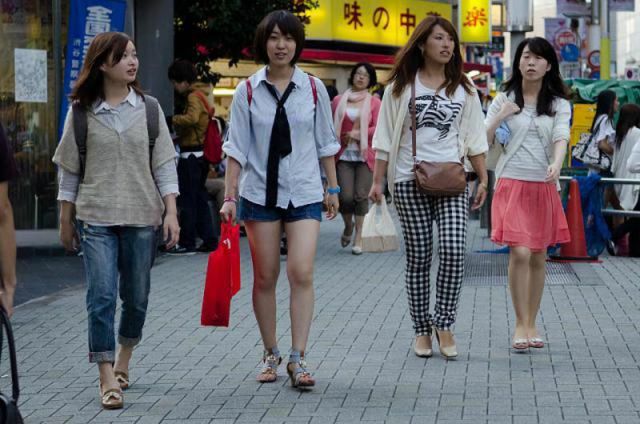 It is another nation which is favored by women for all-girls trips. A very peculiar thing about Switzerland is that the country is divided into 26 states known as cantons and each and every canton has its own laws and ordinances. A reason why women, especially single women select Switzerland is that the nation is recognized for its well- administered governance. Safety-wise it is an excellent option for women as the crime rate has been very low since a lot of time. Also, there is hardly any unemployment which guarantees financial security. The little country lying to the south-west of the Pacific is one nation every human being should definitely visit at least once in their lifetime. New Zealand receives tourists from all around the world and rightly so because of its exquisiteness with regard to nature. The country is blessed with a seamless location and even so because of the amazing weather year long. New Zealand has been known to be a host to habitats from all around the world as the nation is a pristine option for someone with a small family and a warm lifestyle. The country is home to a number of women who want start their lives over or even those who want to settle for retirement. The law of the land is strict and women-friendly, safeguarding their rights and ensuring their safety. The serene country of Denmark is undoubtedly one of the safest countries in the world. Not only is the crime rate very low but Denmark also ensures that its inhabitants have complete financial and medical security. People belonging to countries from around the world are often seen settling down in Denmark and making the country their retirement home. Also, the country has a high literacy rate and a strict legal system making it a safe country for women. Women do not feel hesitant to roam the streets at night and are often seen doing so. Denmark is another option completely loved by female travelers, not only because it is safe, but also because of its mesmerizing beauty.